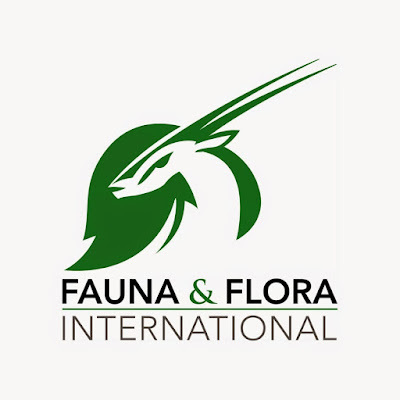 Founded in 1903, Fauna & Flora International (FFI) is the world’s longest-established international conservation organisation. Our vision is to create a sustainable future for the planet where biodiversity is conserved by the people living closest to it. We aim to do this through the conservation of threatened species and ecosystems worldwide, choosing solutions that are sustainable, based on sound science and take account of human needs. We have become a trusted entity in the world of conservation. Today FFI is active in over 40 countries. Working closely with local partners, the Asia-Pacific Programme currently includes a broad range of species and landscape targeted conservation initiatives in Cambodia, Indonesia, Myanmar and Vietnam, and has country programme offices in Phnom Penh, Jakarta, Yangon and Hanoi. Around 70 projects are being implemented in the region by a team of approximately 200 staff, consultants, volunteers and partner organisations with an annual regional budget of approximately USD 10 million. Indonesia is unquestionably one of the world’s top biodiversity rich countries and thus a priority for global conservation. The Indonesian archipelago’s 17,000 islands are home to roughly 12% of the world’s mammals, 16% of the world’s reptiles and amphibians, 17% of the world’s birds and 25% of global fish populations. Yet this biodiversity faces a myriad of threats including logging and palm oil plantation expansion. Fauna & Flora International (FFI) established a formal country programme in Indonesia in 1996 with a Memorandum of Understanding with the Ministry of Forestry. We have since built up an extensive network of partners ranging from forest-edge communities and civil society organisations to government and private business. People are at the centre of our conservation initiatives. We are at the forefront of efforts to help communities map their customary forests and gain official recognition of their right to manage these areas. FFI’s innovative approach has catalysed change through a number of flagship programmes in Indonesia, including the community ranger initiative which has transformed former combatants, wildlife poachers and loggers into champions of the environment. We are also pioneering sustainable financing mechanisms through reduced emissions from deforestation and degradation (REDD) initiatives in Aceh and Kalimantan. Our work on surveying High Conservation Value Forest has also been critical in protecting key orangutan habitat from conversion to palm oil plantations or other destructive activities. Our work in Indonesia is wide-ranging, dealing with issues facing a range of species and habitats utilising a range of tried and tested, as well as innovative techniques. Since 2005, FFI has worked across the Aceh province to rebuild community fishing organisations, enabling them to become more effective stewards of their marine resources, giving them the tools to combat destructive fishing and peacefully resolve conflicts over marine resources between coastal communities. Now, with a network of Marine Protected Areas emerging, there is a chance to demonstrate the crucial role of local communities in realising the region’s aspirations for a better conserved and fairly managed marine environment. FFI’s work in Aceh aims to demonstrate the importance of locally-led marine management for reducing threats to coral reefs and threatened reef fish species on the archipelago of Simeulue, developing a scalable model of inclusive co-management in which decision making and leadership from a significant number of focal communities helps to deliver the objectives of Simeulue Marine Protected Area. Under the supervision of the Aceh Programme Manager, Indonesia Programme, the Aceh Marine Project Coordinator will be responsible for managing and implementing all aspects of the Aceh Marine Conservation Project, jointly with local communities. The project coordinator will ensure that financial management, administration and reporting are in line with FFI and donor policies and requirements and coordinate project implementation with all partners. The successful candidate will have experience in project management, particularly related to operational aspects, ideally with a background in marine conservation, marine biology, fisheries management, biology, or a related discipline. S/he will have experience in managing projects and reporting to donors, as well as a strong technical background related to management of Marine Protected Areas (MPAs) or Locally Managed Marine Areas (LMMA), community-based conservation, as well as experience in facilitating multi-stakeholder planning process at landscape and seascape level. S/he will be able to demonstrate the ability to work with government and local community partners and as part of a team. Competency with standard word processing and spreadsheet programs and fluency in spoken and written English is essential. This is a full-time position, with a 40 hour working week. Field work may sometimes require work at weekends, which will be compensated through time off in lieu. Under the supervision of the FFI Aceh Programme Manager, the Aceh Marine Project Coordinator will be responsible for the operational and conservation delivery of the Aceh Marine Conservation Project, ensuring that the project goal and objectives are achieved and taking responsibility for overall project management including technical oversight, financial management, administration and reporting in line with FFI and donor policies and requirements. Regularly communicate results and progress to FFI’s Jakarta office and FFI Cambridge office. Under the guidance of the Programme Manager, Aceh, assist with representing FFI at key fora, including consultations, negotiations, meetings, workshops and briefings, especially in Banda Aceh. Work with national government and forge new links to support national government policy on marine conservation and small-scale fisheries management in Indonesia. Represent FFI in relation with project partners and stakeholders. Help connect the Aceh Marine Project with FFI’s in-country and wider marine conservation efforts under the guidance of the Aceh Programme Manager and the Technical Specialist, Asia Pacific- Marine. Support media coverage of the Aceh Marine Conservation Project under the guidance of Indonesia Programme Director and in coordination with the FFI Communication Department. Demonstrated experience with capacity development including training, coaching and mentoring others. In your cover letter please explain why you feel you should be considered for this post, highlighting your relevant skills, knowledge and experience and how they meet the requirements of the role profile. Candidates selected for interview will be contacted by email or telephone. Please specify your preferred method of contact in your covering letter and indicate where you saw the position advertised. Please mark your application ‘Aceh Marine Project Coordinator,’. No agencies please.